This deviled egg BLT sandwich is the perfect lunch. Make small-batch deviled eggs on demand with this recipe and enjoy your favorite sandwich at the same time! 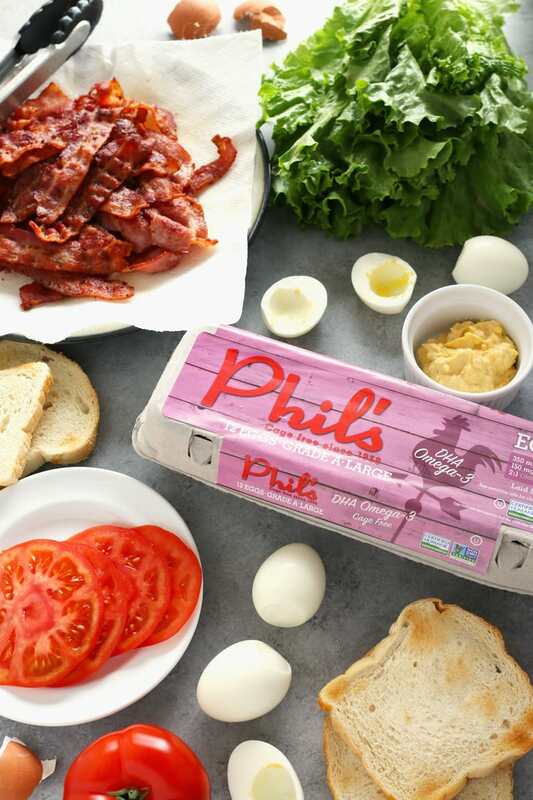 I have partnered with Phil’s Fresh Eggs to bring you this easy lunch recipe. All opinions are my own. BLTs are my favorite sandwich. When we go to small diners around our house, it is almost guaranteed that I will order one. It’s the crunchy bacon, the crisp lettuce and the sweet tomato. Also, the toast and mayo. Yum. You may be wondering – did you just throw a deviled egg in your sandwich and call it a day? Absolutely not. 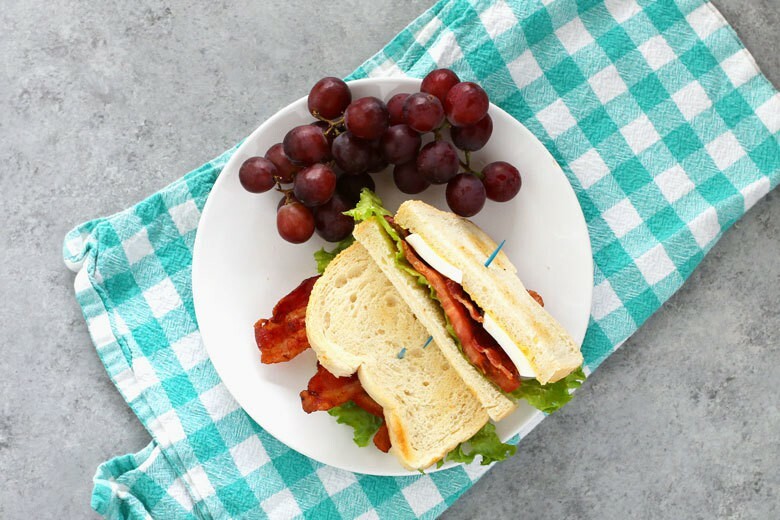 There’s more to it but this Deviled Egg BLT sandwich is easy enough to create that you can enjoy one every day if you want. First, you have to start with the boiled eggs. 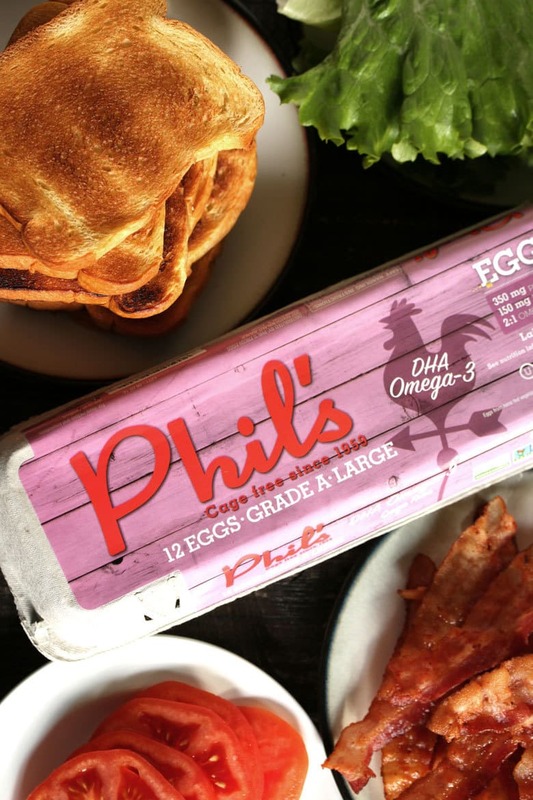 As part of my partnership with Phil’s Fresh Eggs, I used their eggs to make the deviled egg portion of this sandwich. 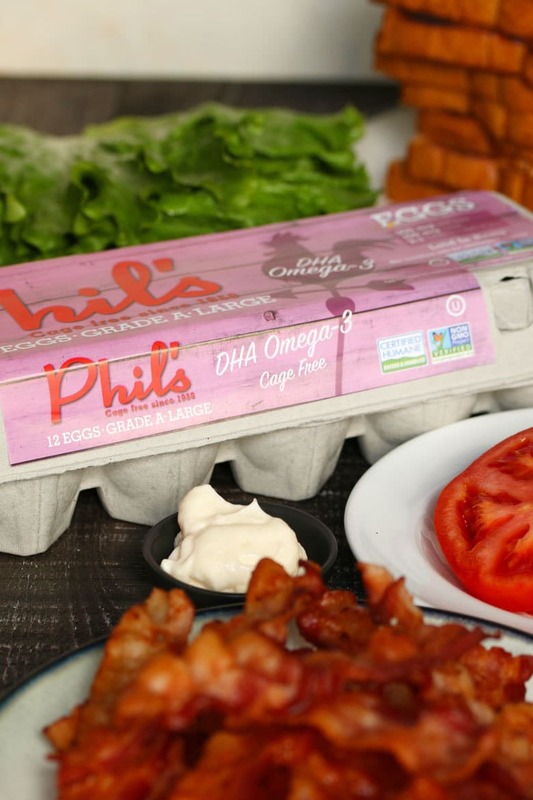 Phil’s has offered cage-free eggs since 1959 – they were one of the first pioneers in providing cage-free eggs. Their eggs are PERFECT for boiled and deviled eggs – I just love how bright they are. Boil some eggs (this recipe requires two boiled eggs) and then let them cool. While you are waiting for them to cool, cook your bacon, toast your bread and prep your lettuce and tomatoes. Now the fun part happens. Split two boiled eggs in half, length-wise and scoop the yolks into a small bowl. Use a fork to smash the yolk, then add the mayo, vinegar and seasonings. 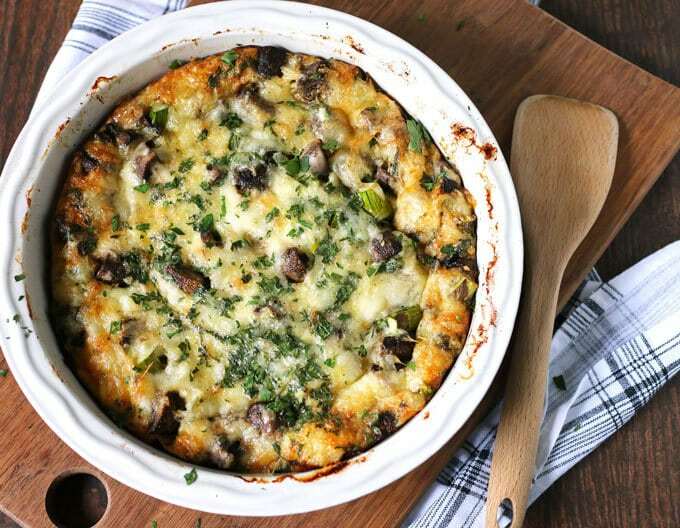 It’s a small enough portion that you should be able to stir everything with the same fork. Use a spoon to scoop a little of the egg yolk mixture into the egg halves. Don’t over fill the egg half like you might usually do when making deviled eggs. 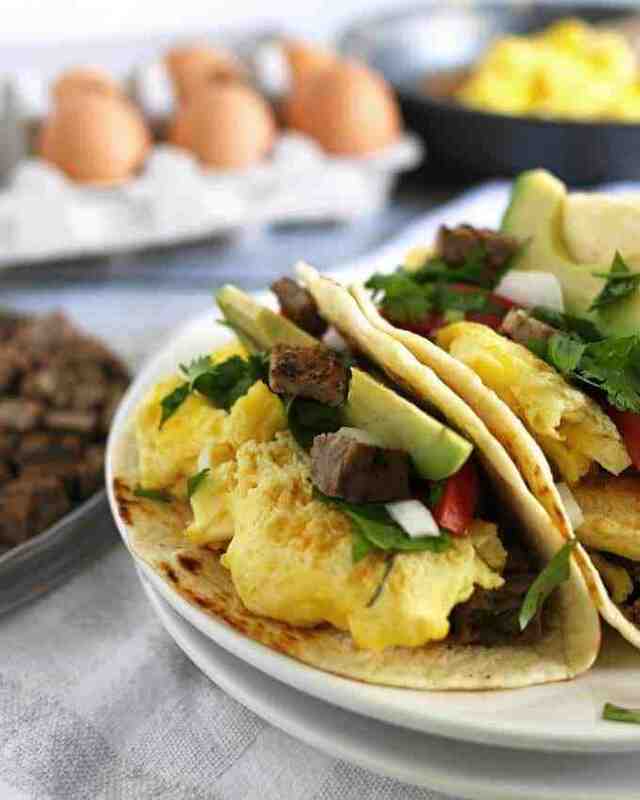 Instead, use a butter knife to make sure the yolk-mixture doesn’t flow over the tops. There should be extra egg yolk mixture. On a plate, place one piece of toast and layer bacon, lettuce and tomato slices on it. Then, use your knife to slice the bottom layers of two filled eggs off (so they lay flat) and transfer them on top of the tomatoes. Spread half of the remaining egg yolk mixture on a second piece of toast and place it on top of the eggs. Boom. 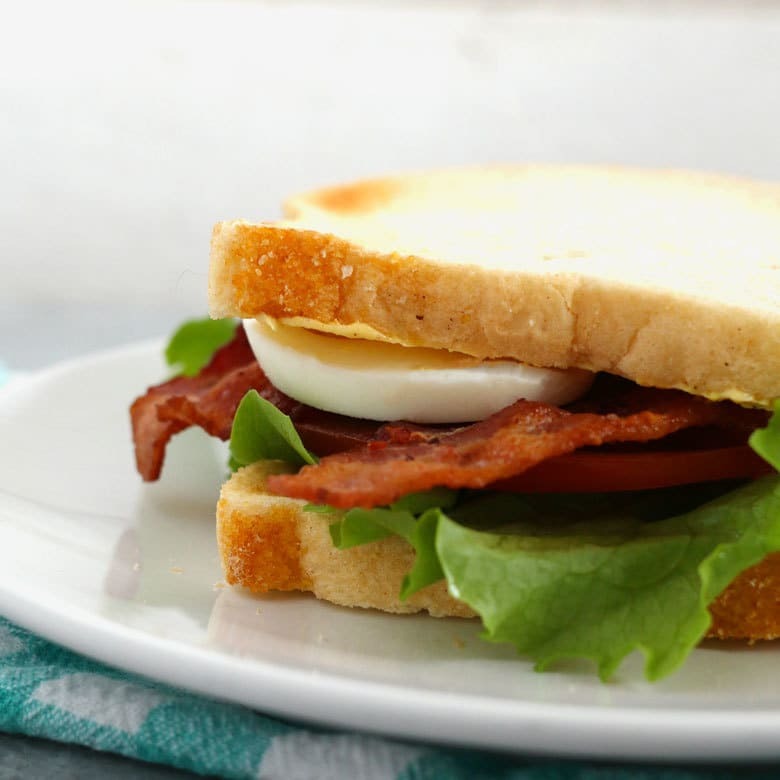 You’ve got yourself a deviled egg BLT sandwich. 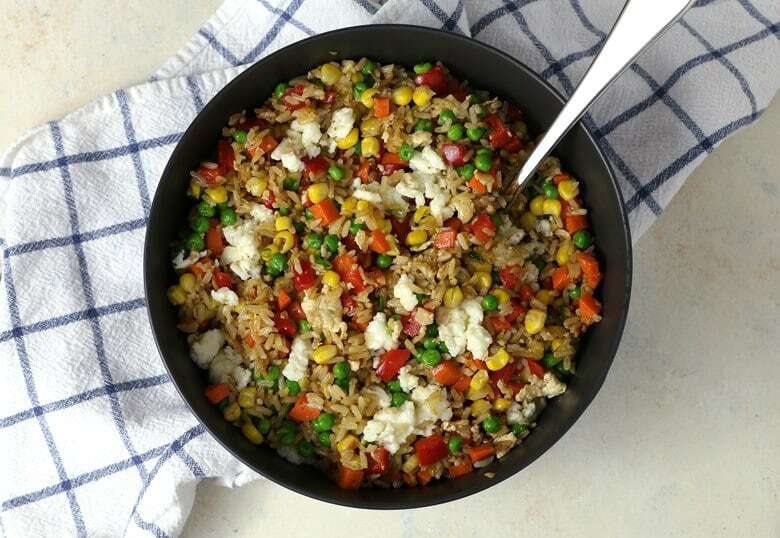 It’s the perfect lunch and I want to eat one every day! 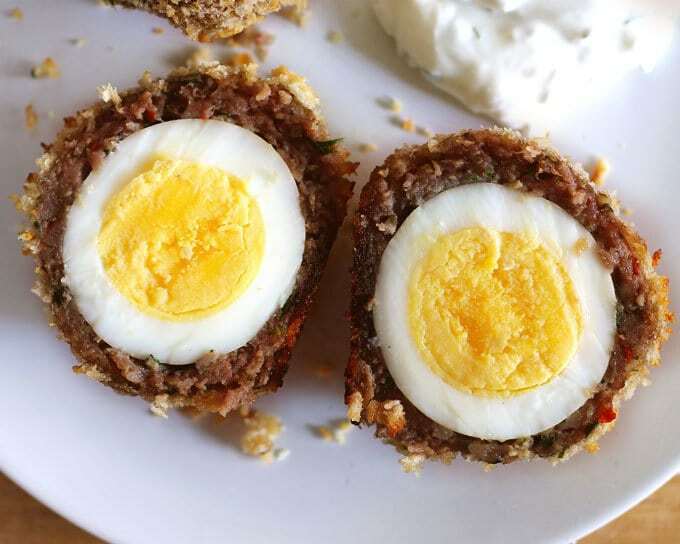 Slice the hard boiled eggs in half length-wise and scoop the egg yolks into a small bowl. Use a fork to smash the egg yolks, then add the mayo, mustard, salt, black pepper, paprika and white vinegar. Stir until well-mixed. Spread the remaining egg yolk mixture on two slices of toast. Assemble your sandwiches. Place the naked toast slices on the bottom and top with bacon, lettuce and tomato. Use a butter knife to slice the bottom off of each deviled egg and transfer two for each sandwich. Top with the remaining pieces of toast. What a fun twist on the classic! 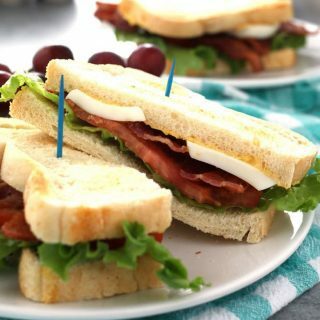 We love BLT’s so much, and I’m definitely gonna add your rendition into our recipe book because it sounds absolutely delicious. Two of my favorite things collide! This sounds amazing! I love deviled eggs! I am loving this BLT pairing! Brilliant! 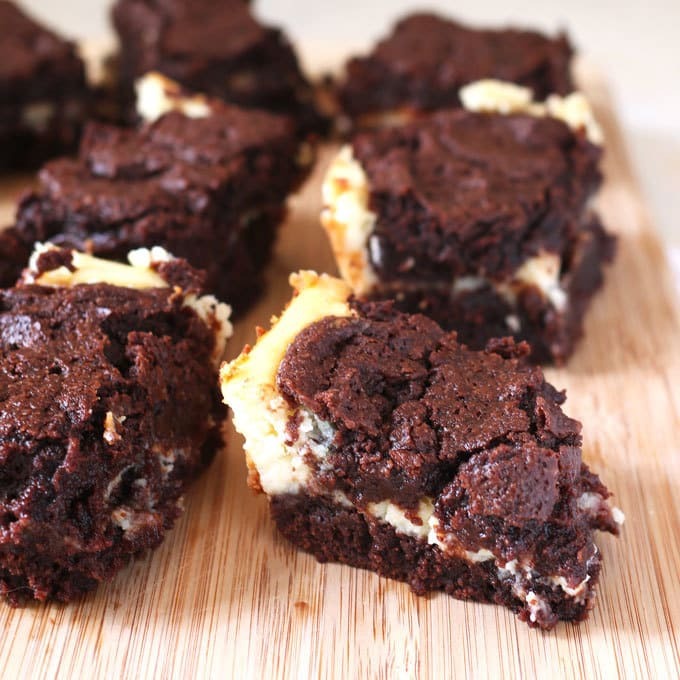 Love this flavor combination – perfect for any time of day! 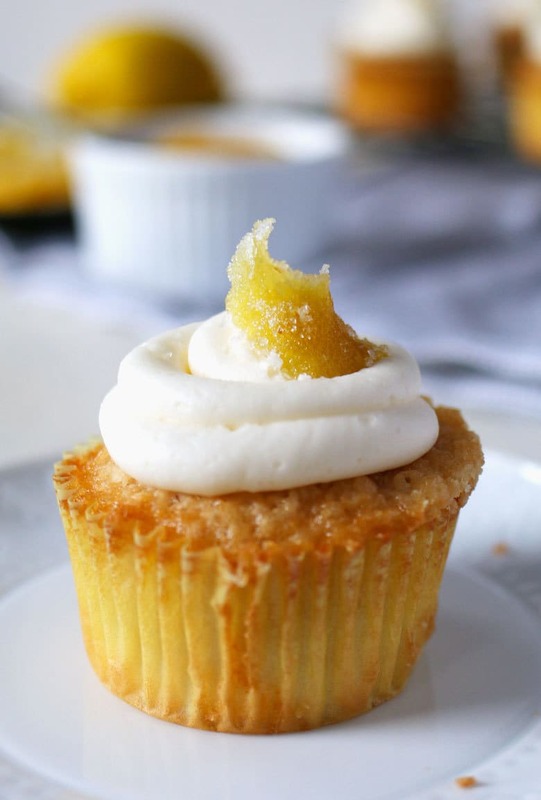 Such a delicious idea! I love the deviled egg twist! I hear this calling my name for lunch! The BLT is one of my favorite sammies! I love the addition of deviled eggs! This looks and sounds awesome! 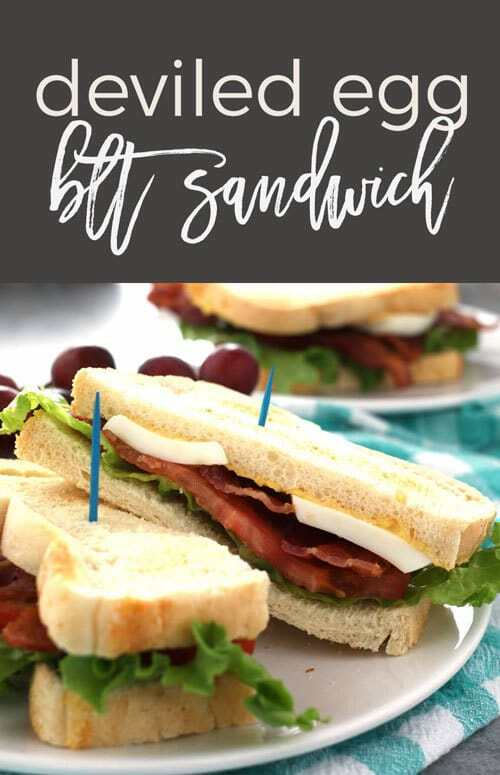 I love BLTs AND deviled eggs, so looks like one amazing sandwich to me! Great idea! Two of my favorites in one! Oh my goodness, my hubby is going to love this!!! Thanks for such a great unique sandwich. What an amazing idea! I love a good sandwich and this is a great sandwich! 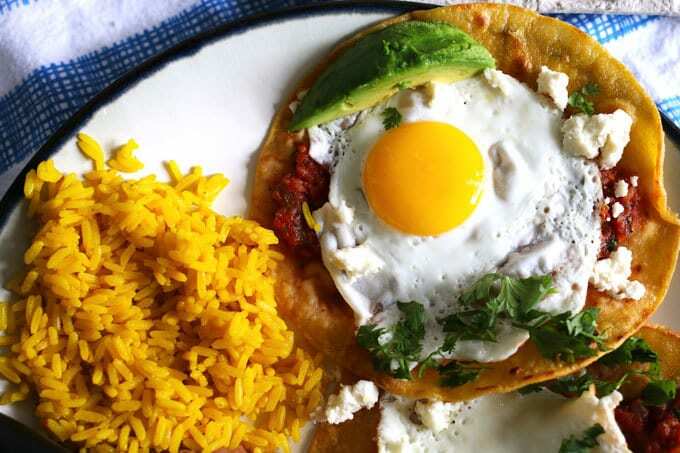 Your other egg features look delicious too! 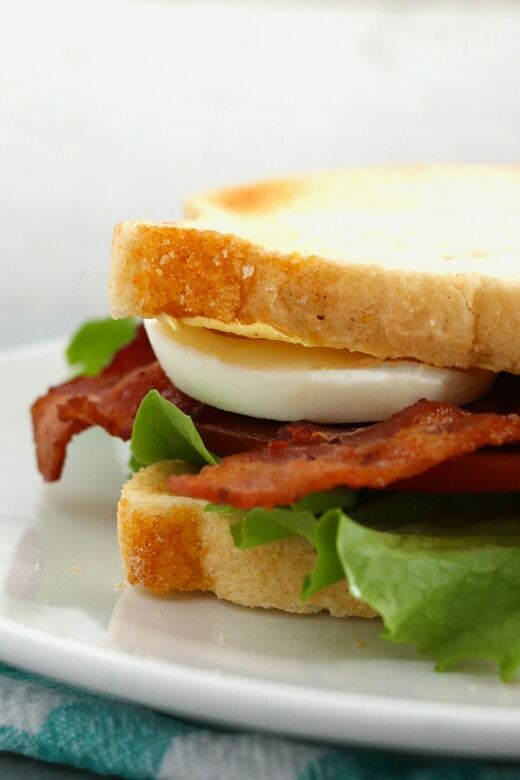 Your sandwich looks fabulous though…love BLTs and love deviled eggs…sounds like the perfect match! Looks like lunch today! Gotta try this! Thanks for the recipe! This is such a great idea! I love to eat deviled eggs and my favorite sandwich is a BLT. 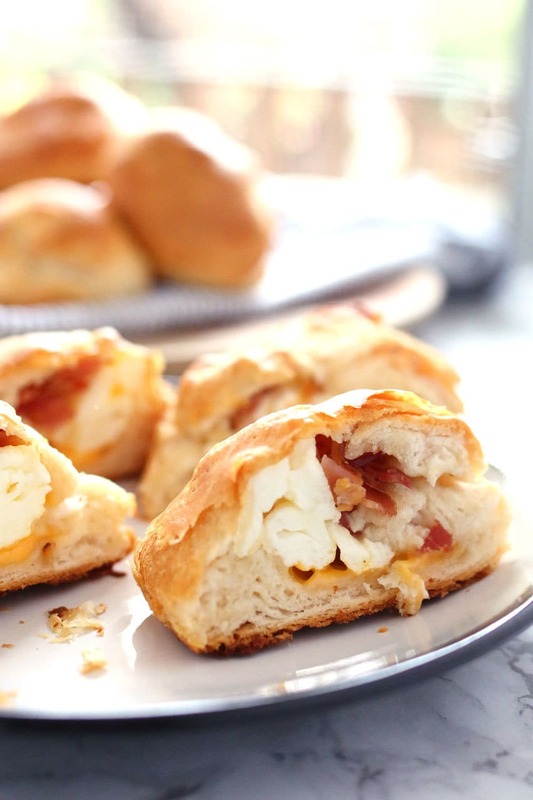 Something about bacon and eggs and how they are not just for breakfast anymore! !